Product #17339 | SKU BKWL601 | 0.0 (no ratings yet) Thanks for your rating! 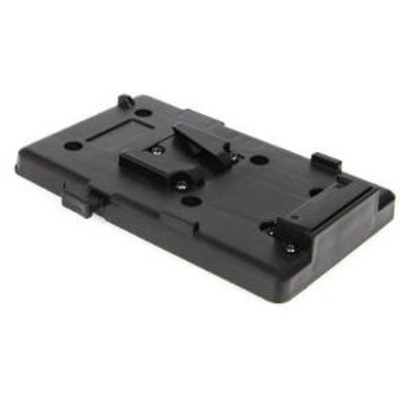 The BK-WL601 is a battery mounting plate for all Sony " V-Shoe " mount batteries. The BK-WL601 replaces the NP-1 battery box supplied with the camcorder or dockable deck. A "No-tools", "No-wiring" approach was taken in the installation design of the BK-WL601. A single thumb screw attaches the plate to the camcorders back. Power and battery information is delivered to the camera via a multi-pin connector.